… more like a paper bracelet. But it’s a start! Thank you so much,that’s amazing! Also now following your new blog :) have a fantastic weekend!! Love all your posts – but this one spoke to me especially! 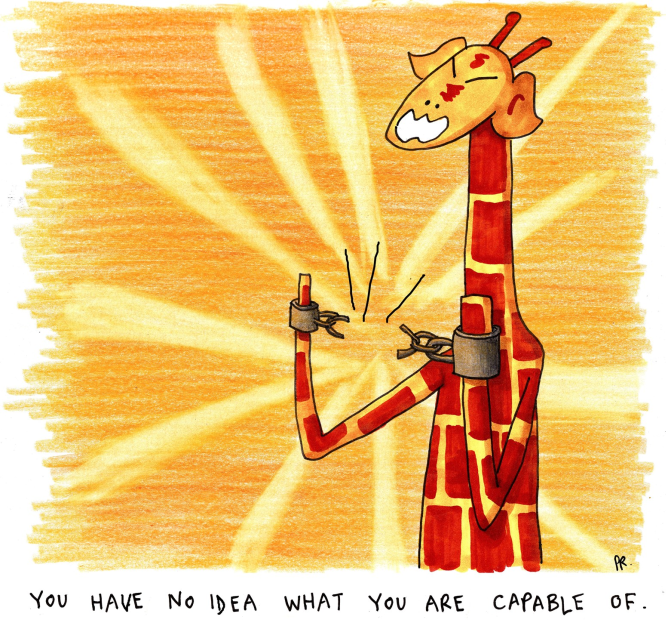 I’ve been thinking about how my perception of my own capabilities can be limiting. Thank you for the reminder to break free of meritless doubts! Thank YOU! Take care of yourself my friend! Sometimes I have a hint of an idea… it’s nice when you have supportive people around who can nudge you when you have self-doubt, though.